This whole house is waiting for Christmas. 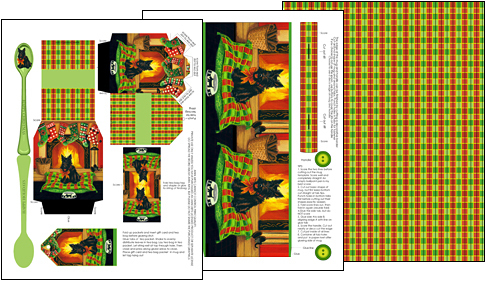 From the 3D cards that started it all, to tags, elements, gift boxes and background pages and special Scottie dog printables. These cosy home scenes make perfect and frugal homemade Christmas crafts for the whole family. This favorite bestseller is now expanded for an even bigger range in the combo. NOTE: This was one of the very first Anni Arts printable ranges and is in 200 dpi - for smaller files because the items were emailed back then! The two mugs are in 300 dpi. Tip: First print the pattern paper, turn paper around and print mug. The mug will have a nice patterned lining inside. • The cards measure 5"x 7"/ 17.5 cm x 12.5 cm. • Front and back dotty envelope units. The big box fits the 3D cards and packet envelopes if you want to make a gift set. • Four sides for the large gift box. TIP: It is perfect as stationery gift box for the 3D cards and envelope packets. • A lid for the large box. SMALL BOX• A small box with square tag. TIP: The small box is perfect for stocking stuffers and just fits a golf ball. By popular request – an individual Scottie set! Taken from the main set and expanded with extra items. 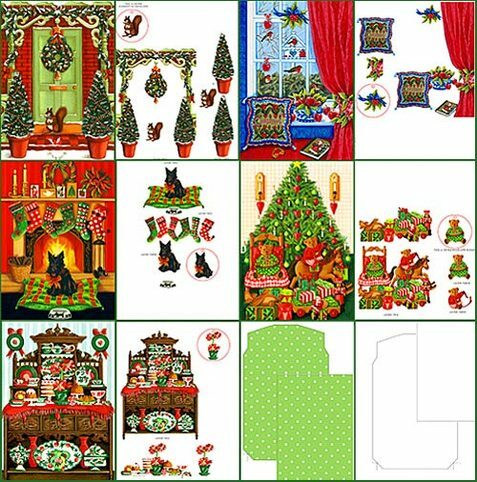 Perfect to combine with other homemade Christmas crafts with a Scottie theme (pillows, tapestry or cross stitch, totes) or Scottie fleamarket finds. • The Scottie pillow pack and bookmark/tag. • A complete Scottie box. • A Scottie collection of tags, toppers, frame bookmark and border. Repeat patterns and tartan for wrapping, scrapping, packs and cards. 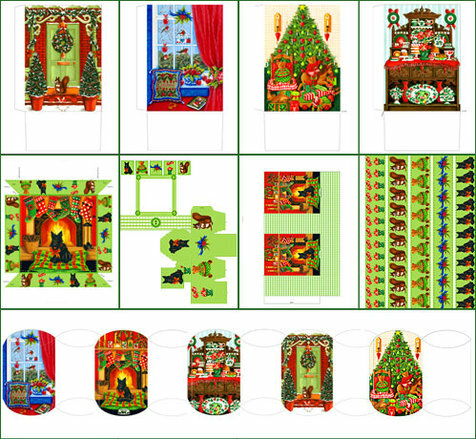 Perfect for wrapping other small homemade Christmas crafts too. Coordinating geometrics in sage green for wrapping, scrapping, packs and cards. Perfect for wrapping other small homemade Christmas crafts too. Would you like to see more items added?